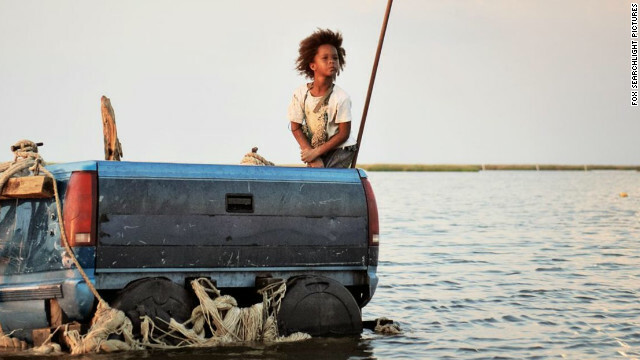 (CNN) - Have you seen the movie Beasts of the Southern Wild? If you have, I believe you will emerge with a question: What was real and what was imagined? Reality can spark the imagination. And imagination can change reality. This movie, set in an area of the Louisiana bayou called "The Bathtub," did both in ways I never could have imagined. Beasts created this magical reality with a cast of characters who were not professional actors. It did so with a 5-year-old girl whose face we'd never seen before and will never forget. It did so without a development deal or production timetable. It did so through an immersive approach to filmmaking, driven by curiosity, approached with patience and executed through an uncanny resourcefulness in the production of the movie, all of which came through in the story itself. It's that resourcefulness and resilience we parents wish for in our children and ourselves. Which is why I will return to the theater with my whole family to share Beasts of the Southern Wild with them before the movie takes over the upcoming Academy Awards. Lincoln was a great movie of perhaps our greatest President. Beasts of the Southern Wild reveals that greatness is often hidden in the strangest recesses. It can be hidden forever unless a determined explorer driven by curiosity stumbles upon it. That explorer's name is Behn Zeitlin. Please click on the audio player of this edition of CNN Profiles and listen to Zeitlin reveal how he brought the magical reality of "The Bathtub" to life. He didn't do it alone. And he didn't do it quickly. He couldn't. First, he needed to discover a little girl he could never have imagined.